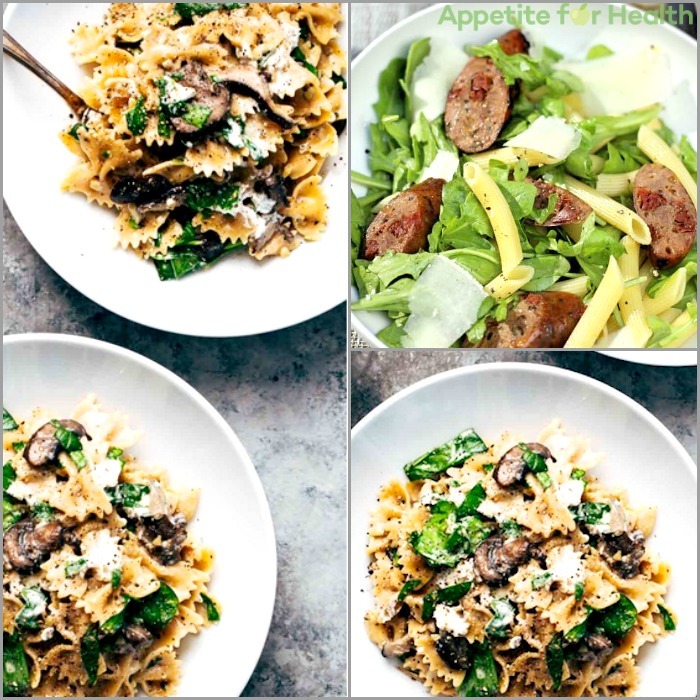 If you’ve sworn off pasta because you think it’s fattening, here are two healthy traditional Mediterranean pasta dishes that have less than 500 calories and can be made in less than 30 minutes. These recipes are two of my favorites that I make at least once a week. They can help you get more veggies in your diet, are easily combined with lean proteins and they are waistline-friendly. Grill or pan-fry chicken sausage and slice sausage into bite-sized pieces. 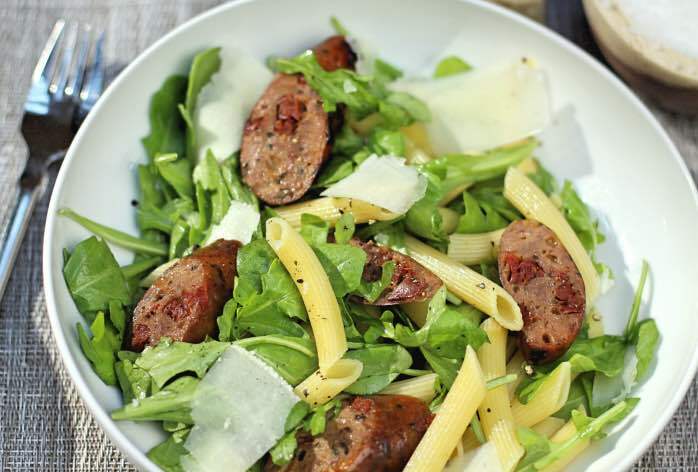 Combine cooked pasta with sausage and arugula. Add salt and pepper to taste. Plate pasta and top each plate with 1 Tablespoon shaved cheese.